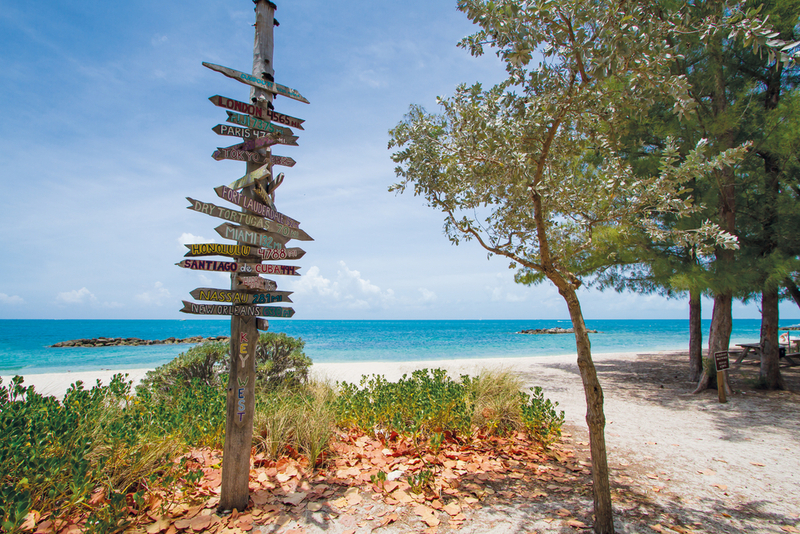 Fort Zachary Taylor State Park is one of Key West’s best-kept secrets. Located near the southern tip of the island, you can easily spend a day away exploring the park’s historic fort, snorkeling its clear waters, walking its trails, and watching the sunset at the end of the day. Here are our favorite things to do at Fort Zachary. The Civil War-era fort is a national historic landmark with well-built archways and brickwork that have stood up to the times. Guided tours are available daily if you’re interested in the fort’s history and significant role in the Civil and Spanish-American wars. The fort houses the largest collection of Civil War cannons in the nation. Keep an eye out for cannons embedded into the fort’s walls. The beach at Fort Zach is clear turquoise and an active spot for snorkelers. Snorkeling gear, umbrellas and more are available for rent. Ask guides for the best areas to spot marine life. Snorkelers regularly see parrot fish, lobster, corals, and sea turtles. You can also freely swim at Fort Zachary, but beware of rocks! Bring along water shoes to make the experience run smoothly. Want to get some exercise into your day before cooling off in the water at Fort Zach? Point Trail starts at the western side of the parking lot and loops around the park along the seawall, offering excellent views. Keep an eye out for iguanas basking in the sun and cruise boats on the horizon. Learn more about the nation’s southernmost hikes at Fort Zach on Florida Hikes. For a different sundown scene than that of Mallory Square, hold a quiet sunset celebration of your own at Fort Zachary. Bring a blanket or chair to the canal and enjoy a low-key sunset with a wide-open view of sundown over the water.